Many things can irritate a nerve coming off the spinal cord. A very common cause is a disc herniation. When this happens a small piece of the disc has herniated beyond the boundaries of the disc and actually touches or pinches one of the nerves coming from the lumbar spine. The contact with the nerve plus very irritating chemicals from the disc can cause extreme irritation and pain in the distribution of the pinched nerve. 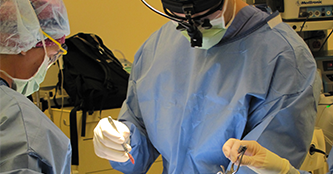 The MLD is a outpatient minimally invasive procedure to take the pressure off the nerve and stop the pain.